For those who have not had the chance to hear JK Rowling’s 2008 Harvard commencement address on “The Fringe Benefits of Failure and the Importance of Imagination,” see the YouTube video below. She addresses the Harvard graduates with humility, wisdom and gratitude, as well as humor, and teaches all that the power of imagination reaches far beyond creativity, innovation and invention–it allows us to empathize with anyone, no matter where they come from or who they are. What an excellent reminder as we strive for more patient centered care! Though I personally will defend the value of bedtime stories to my last gasp, I have learned to value imagination in a much broader sense. Imagination is not only the uniquely human capacity to envision that which is not, and therefore the fount of all invention and innovation. In its arguably most transformative and revelatory capacity, it is the power that enables us to empathise with humans whose experiences we have never shared. 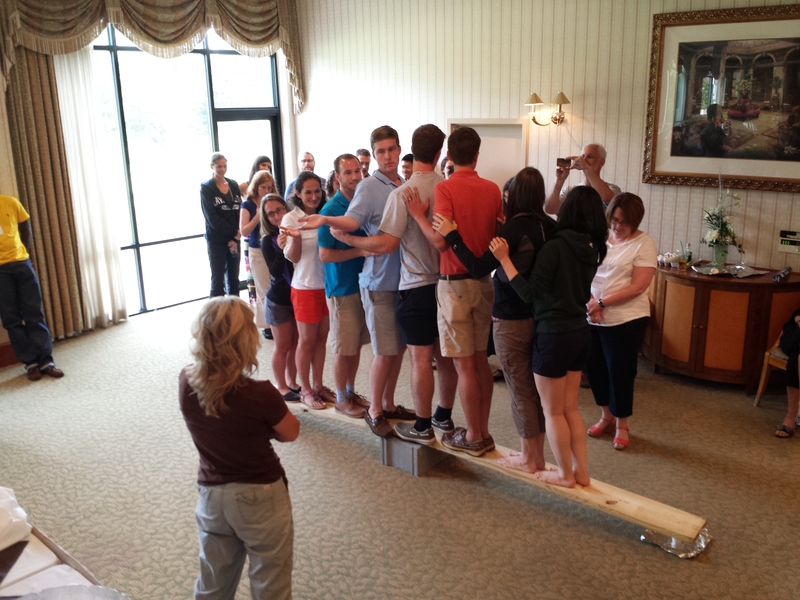 As the Telluride Patient Safety Summer Camp 2014 Sessions come to a close, we are buoyed by our ever-expanding network of young and enthusiastic health care providers in-training, turning patient safety into a creative science. The Telluride Summer Camp blog continues to receive comments and posts from alumni, and is increasing evidence of a positive healthcare culture on the rise. Mindfulness, a just and learning culture, open and honest communication and patient centered care are all foundational messaging of the Telluride curriculum, and keys to true culture change in healthcare. Colin Flood, an M2 from Rush Medical College in Chicago attended this year’s Telluride East Camp, and recently posted the following reminder that patient safety lessons exist all around us, especially when we are mindful and focused on the end goal of keeping patients safe. On the way to the hospital this morning, I heard a report from NPR’s Dan Charnas about mise-en-place, the chef’s philosophy and discipline for organizing and managing a hectic commercial kitchen. The piece was a great reminder that many of the challenges we face in healthcare are shared by others. Chefs standardize their procedures, prepare meticulously for each workday, and read back instructions from their colleagues to keep orders straight in the hectic kitchen. They also “work clean” and practice “clean as you go” to keep their workspaces organized and their food safe. When something’s not right, the chef “slows down to speed up” by taking time to correct any problems before a dish reaches a customer. A few weeks after Telluride it was a great reminder that we can get inspiration and motivation for patient safety practices anywhere! To hear the NPR story, click here. A tribute to a gifted storytelling talent and teacher. He whispered to students in a sing-song, melancholy, and haunting tone on behalf of those that had come before. It was never about him, but about the ultimate invitation–inviting a potential learner to something worth understanding. As far as his character in DPS (Dead Poets Society), it wasn’t so much the quotes and themes (carpe diem) as it was his devotion to something greater than himself–and his ability to see his limited role in that fragile process. Students deserved to understand literature–that seemed to be his position. So I took those ideas, and formed what I thought about teaching. What can I do to help students climb over and around me? To trust themselves enough to reach out and take something? Who were the teachers you remember? We talk about educating the young and the need to rework medical education in a way that addresses the needs of today’s healthcare, yet change comes slowly. Where are the “John Keatings” and “Terry Heicks” of medical education? While the subject matter of Soderbergh’s current choice is always of interest in both true and fictional worlds, what caught my attention was the emphasis on continued production of an entire season of TV episodes at one time and then releasing the series in its entirety, encouraging the binge-watching our current online entertainment environment allows. Emmy-award winners and nominees, shows like Dexter, Breaking Bad, Mad Men, True Detective and Orange is the New Black are consumed in mass quantities over single sittings, leaving fans thirsty for the next season’s installment or new series creation just shortly after release. Once a Netflix or HBO phenomenon, full series like The Knick are now being uploaded to a wider range of channels such as Cinemax, AMC and PBS. As technology and resulting viewing habits evolve, so must the way stories are shared–at least in mass media formats. Soderbergh has embraced the change with his usual creativity, and has already been given the green light for a second season of The Knick, and is working on a new pilot for Amazon. What does this mean for new storytellers? There are far more venues for content release–keep writing, keep creating. We just concluded another great week of learning and inspiration at the Telluride East Patient Safety Summer Camp held at Turf Valley Resort in Ellicott City, MD. Educational discussions led by Anne Gunderson, Rosemary Gibson, Paul Levy, Wendy Madigosky, Patty and David Skolnik, Richard Corder, Rick Boothman, Tracy Granzyk, Kathy Pischke-Winn, Gwen Sherwood, Lisa Freeman – some of our wonderful faculty who gave their time to “Educate the Young” on the importance of Patient Safety, Transparency and Patient Partnership. There were so many great student and resident reflections during the week but one written by Mona Beier captured both the frustration – how the current educational system is “beating down” and desensitizing our next generation of caregivers – and a flicker of hope that they still may be able to salvage the caring spirit they entered their training with…that same caring spirit that will guide them to deliver safe, high quality, patient-centered care. First of all, I have to say this will be my first ever blog about anything….so here goes nothing….I have to say these past few days have been eye opening, and dare I say, life changing. I went into the conference not knowing exactly what to expect, but at least thinking that I knew something about patient safety and quality improvement. What I have realized is that my idea of PSQI was so unbelievably superficial. Everyone at the conference has opened my eyes to see that through everything we do in PSQI, it is ultimately for the better of our patients. Maybe because we are all required to do PSQI projects at my institution, I feel that it was always presented to us as how to make YOUR life easier and less frustrating, instead of the patient. Maybe they felt we would only be motivated if we felt we were helping ourselves in some way. These talks, stories, reflections have all made me take a step back and realize what it is all about: our patients. It makes me really sad that in the very little time I have been in training that I have completely lost sight of that. There is really no excuse for that. I could blame exhaustion, long hours, too many patients in too little time….but at the end of the day, there is no excuse for not putting our patients as our number one priority. I have had some really negative realizations of myself during these past few days. I hate to admit this, but during a lot of the talks and the videos, I saw things that I had done, and I have seen my colleagues do time and time again. It is almost a daily occurrence that I hear people labeling patients as “high maintenance” if they ask questions about their healthcare or if they “challenge” our decisions and our actions. Instead, we should be celebrating this and saying thank you to them for taking an interest in their own health care. I have replayed imagery in my mind about how many times I have rushed through explaining informed consents, or felt hurried to get histories and physicals because I have 48392 other things to do (seemingly). Or, how many times I have interrupted and not listened. Instead, I should be finding other ways to make my day more efficient so that I will have more time with my patients. Or, maybe I stay an extra 30 minutes a day so that I have that extra 5-10 minutes with patients. Sometimes, a few more minutes can make all the difference. I have thought about times when I have anchored, or had premature closure of patients I was taking care of—and it wasn’t until they were not getting better or something was going wrong that I ever stopped and thought that, hmm I could be wrong or that I was missing something. The talks at the conference have made me realize that I should be doing this every day–stopping, taking time to think–and say, is this what’s going on? what would be the worst thing that I could miss? should I go back and get more history? does this make sense? Moreover, I thought about times when something actually did go wrong–when patients on my team have gone to the ICU or have died. I tried to replay in my mind, and again, I saw myself saying “oh, they were very sick”–almost trying to justify it to make myself feel better. Being here these past few days is going to make me view this completely differently. I am going to take the time to think about what happened when things went wrong. Was it preventable? Was there something else we could have done? Why did this happen in the first place? What were the series of events that led up to this? Did I call the family? And more importantly, was my conversation meaningful with the family? Did I address their needs and reassure them? Was I there for them like I would want someone to be there for my family member? Anyway, I could go on and on. There are a lot of other lessons I have learned. All I really know is that I am walking out of here a better person than when I came in. This conference has inspired me to take a deeper look into who I am—what kind of physician I want to be—and what kind of person and role model I want to be to my peers, my patients, and really everyone in my life. I am inspired to try and break the mold of the culture we have grown so accustomed to—the culture where everything seems to be about me–and remind both myself and others that is not why we are here. 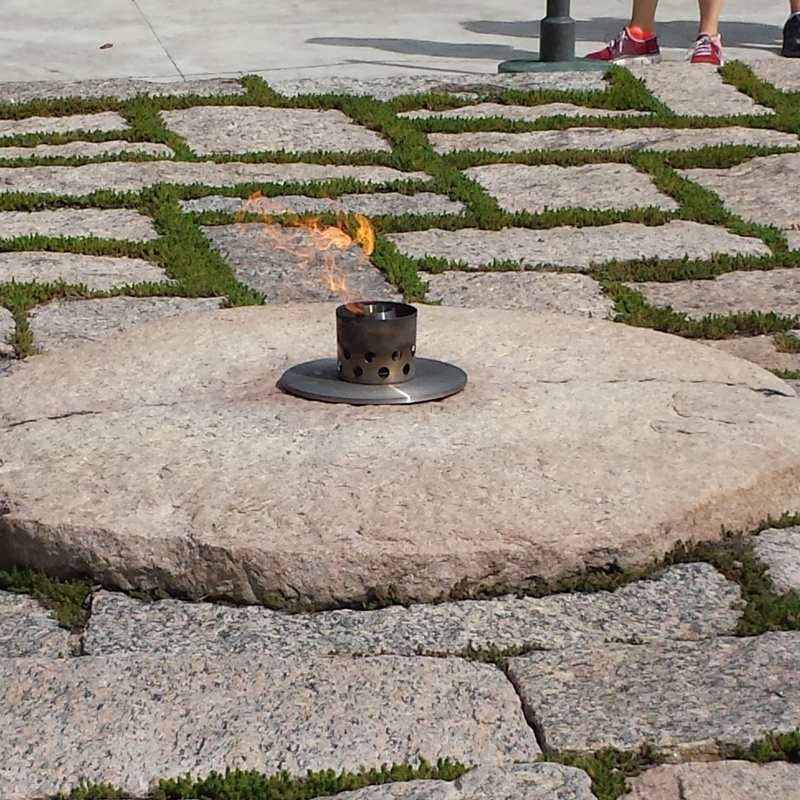 One of the highlights of our Telluride East Patient Safety Summer Camp each year is our trip to Arlington National Cemetery. The cemetery serves as a burial-place for “laying our Nation’s veterans and their family members to rest with dignity and honor.” Numerous daily honors, such as a horse-drawn caisson carrying an American flag draped casket, the firing of three rifle volleys, and the long bugler playing Taps, remind visitors of the service, sacrifice and valor displayed by those in the military protecting our freedoms. As we walked through the cemetery, it was hard not to grasp the magnitude of the gravesites beside us. Everywhere I looked, white gravestones dotted the landscape. The tombstones seemed to go on forever…in the lower areas of the cemetery close to the main entrance, walking up the hill to Arlington House, or following the signs to the Tomb of the Unknown Soldier. 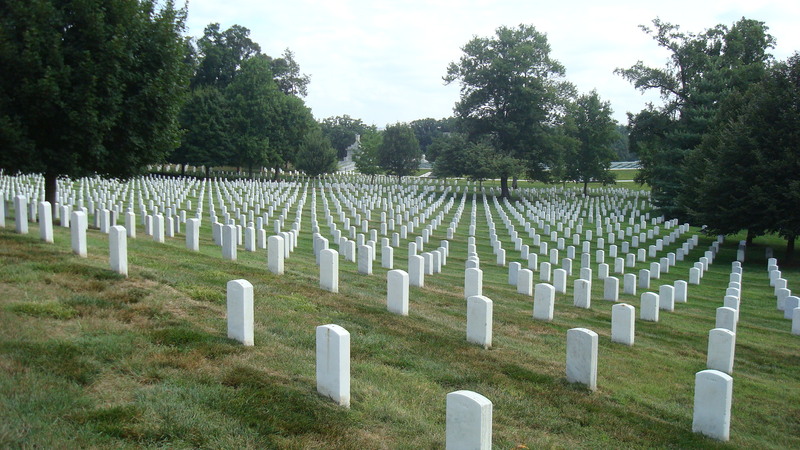 Everywhere I looked there were rows and rows of white tombstones – tens of thousands of them. Six hundred and forty-eight acres of tombstones marking burial sites with little room for much else–the cemetery is pretty much full, and needs more acreage. In fact, they recently chopped down a controversial 2 acres of trees to find a place for our more recent casualties of war. The informational brochure says the cemetery is currently the final resting place for more than 400,000 people. 400,000 people…the irony of that number struck me. That is the same number of patients who die every year due to preventable medical errors according to an article published in September 2013, A New Evidenced-based Estimate of Patient Harms Associated with Hospital Care in The Journal of Patient Safety. Lucian Leape brought some conceptual reality to the medical error crisis years ago by using the analogy of one jumbo jet crashing every day. All those white tombstones that stretched to the end of the landscape and seemed to go on forever reflected the same number of patients who die each year from things like unnecessary infections, failure to recognize or rescue, medication dosing mistakes. 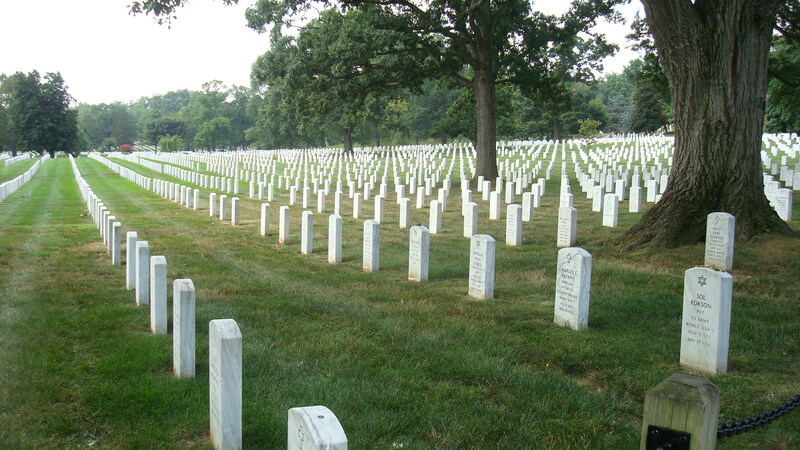 We fill an Arlington Cemetery every year. We have surpassed one jumbo jet per day. Standing at the top of the hill, looking in all directions…north, south, east, west…seeing the 400,000 gravesites spread out before me, and thinking this could be a preventable medical harm cemetery for just a single year is incomprehensible and unacceptable. What does it require for others to take this national epidemic seriously? When will we see the urgency needed to create meaningful change? It is a visual all Hospital CEO’s and political leaders should be required to experience.